Oh dear, how are we going to afford this? 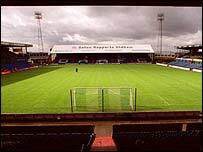 The current Boundary Park is only half finished, and only last season we were in administration. 19th in Leauge 1, isn’t the best moment to announce spending £20 million.